So every day, 300 people emigrate to Geelong ? How does that work then ? @enno, what are you talking about? Please refer to the post title. 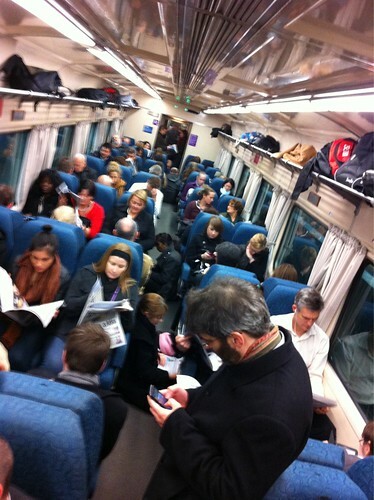 every day 2,917 people travel from Geelong to Melbourne and 3,292 people travel from Melbourne to Geelong. That is a surplus of 375 people going from Melbourne to Geelong every day. No, that’s not what it says. In both the post title and repeatedly in the text it says the figures are for peak only. So you are saying that some of those excess people sneak back into Melbourne outside peak hours ? Alrighty then.